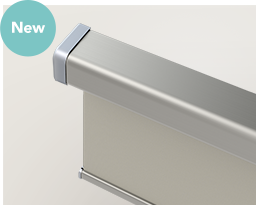 With motorised blinds and curtain tracks, enjoy comfort and privacy with the push of a button. 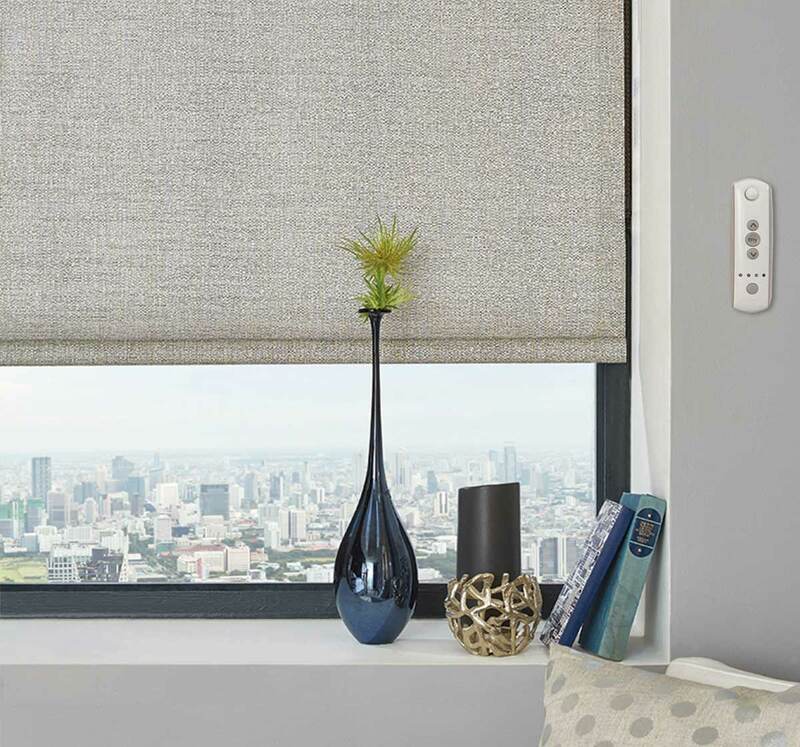 Fabrics look better for longer thanks to less handling and smoother operation, and timed/sensor activated blinds make your home appear occupied while away. 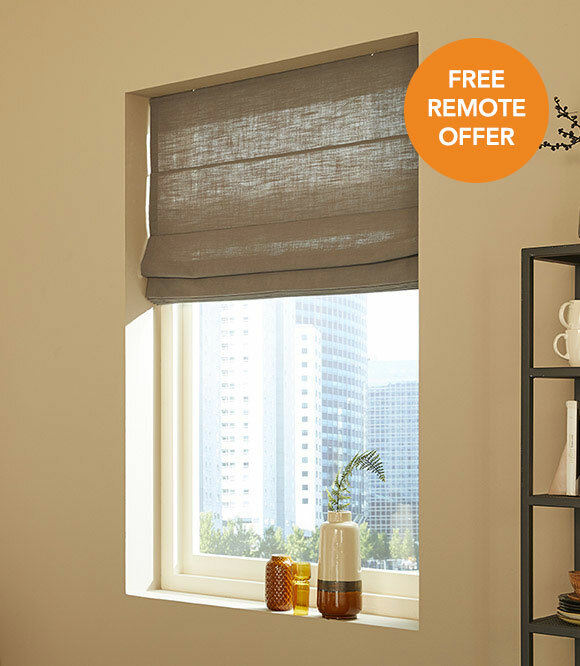 Tell your electric blinds to open or close with Amazon’s Alexa! 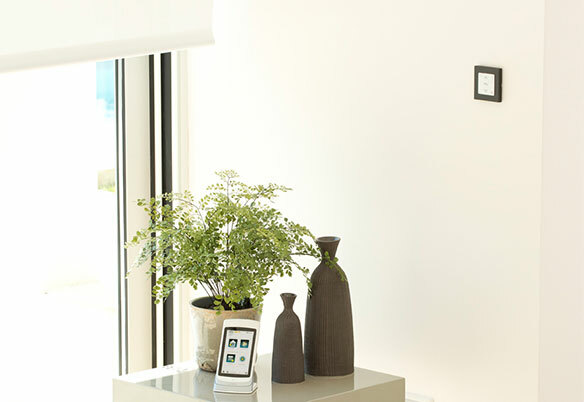 By integrating with Somfy’s TaHoma Home Automation System you can connect all your Somfy Smart home devices directly with Amazon’s Alexa or Echo and allow voice control of your smart home. 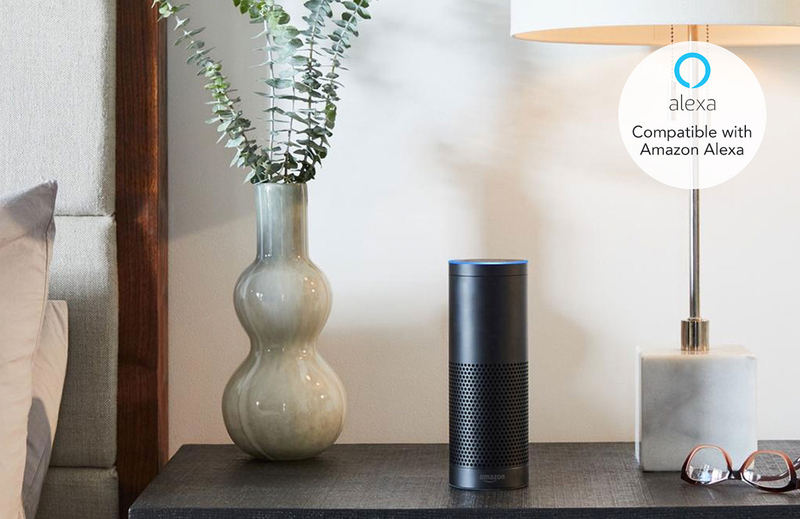 When you give Alexa a command, it’s passed to TaHoma which then communicates with your electric blinds or smart home products. 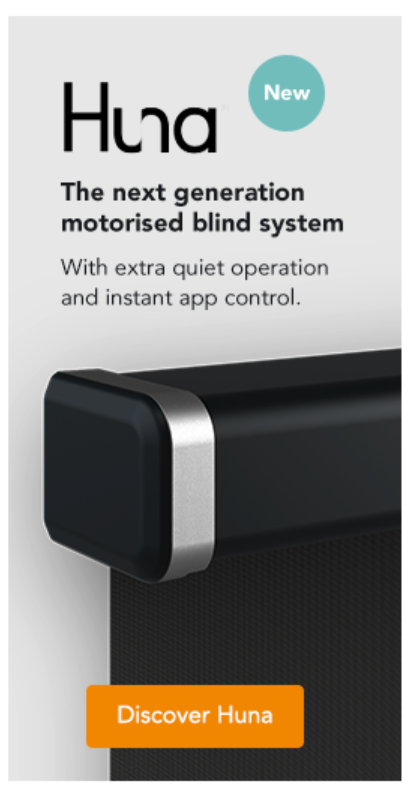 Set your electric blinds to open early on work mornings, all your living room lights to switch off at bed time, and open your garage door from the comfort of your car with just a tap on your phone. 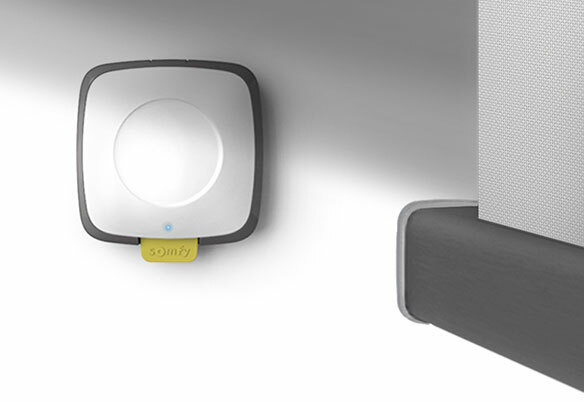 A Somfy smart home system takes care of those little every day jobs. 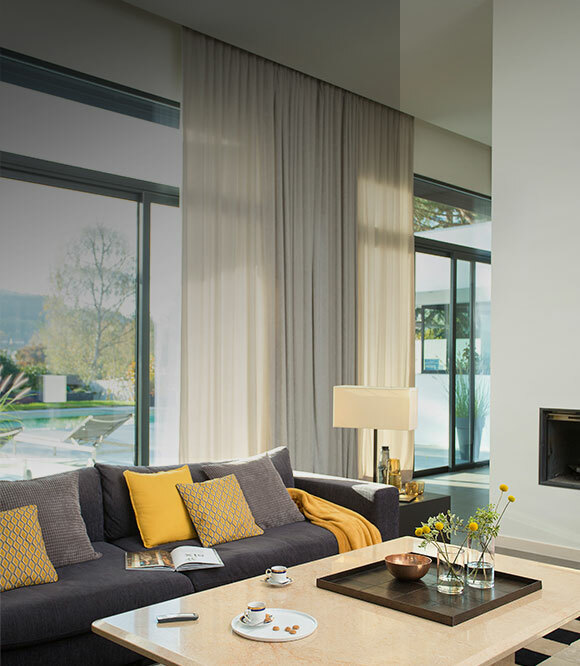 It can even monitor light and temperature levels in your home, giving you the freedom to focus on more interesting things in life. 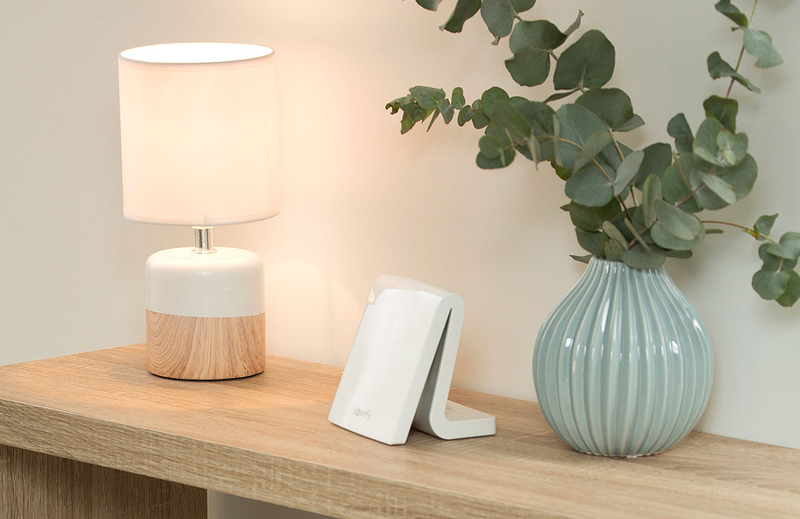 The TaHoma smart home hub opens up the possibilities for your home by connecting all your Somfy devices and putting you in control. 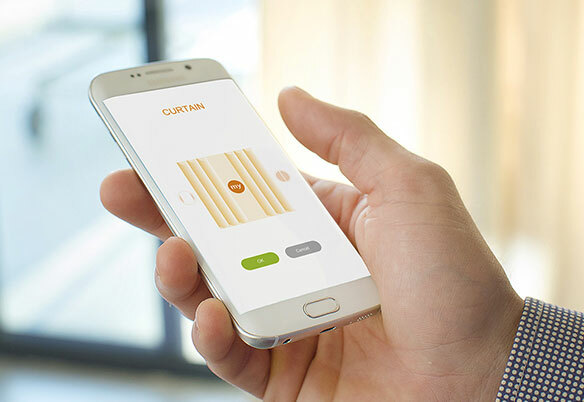 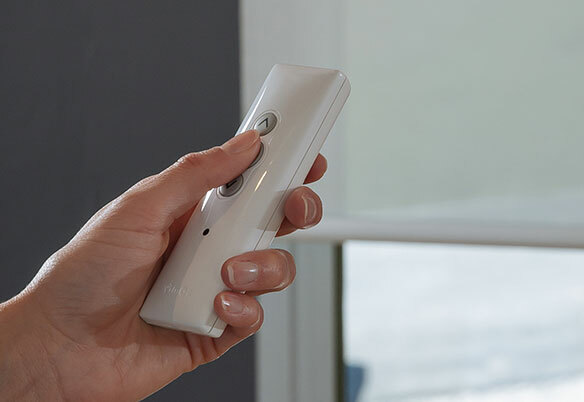 Operate electric blinds, electric curtains, lights, garage doors, gates and security cameras with your smartphone or tablet. 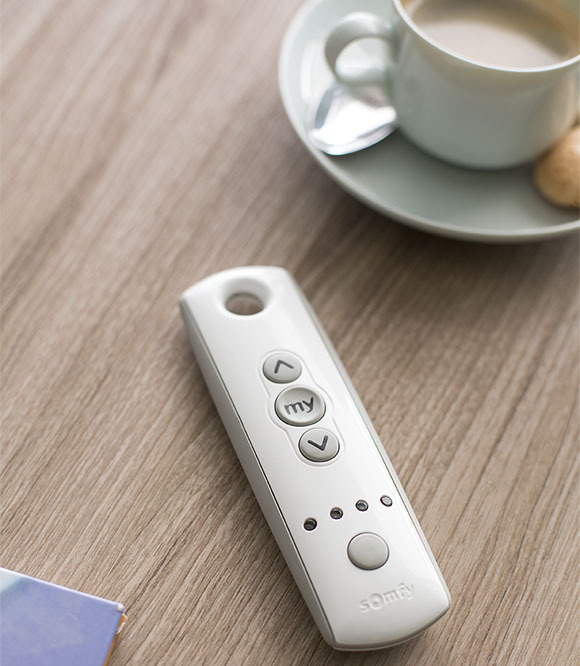 Create your own scenarios using the Somfy TaHoma app such as operating several devices with a single tap, and set up calendars of scenarios to suit your lifestyle. 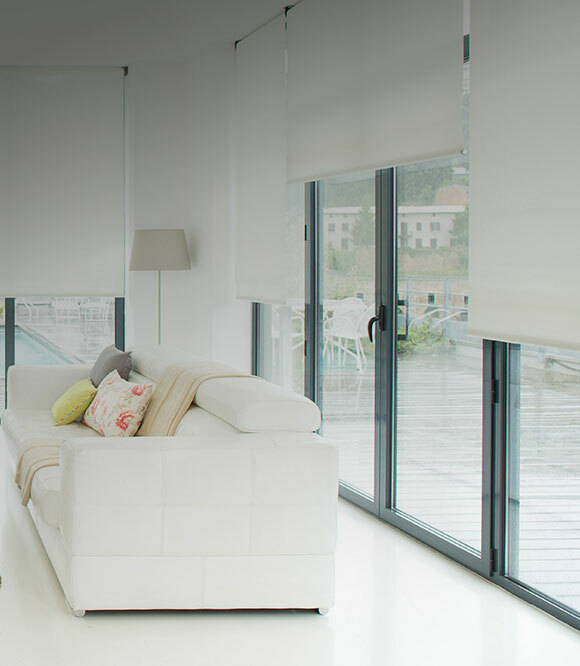 For example, schedule a ‘holiday’ scenario to automatically set your heating to eco, switch on outside lights and close your roller blinds each evening while you’re away. 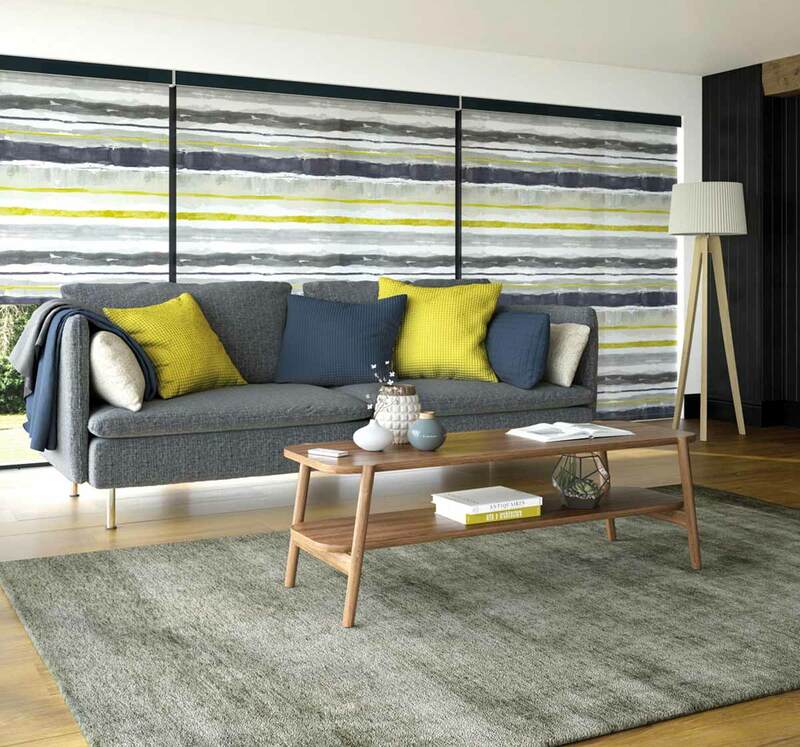 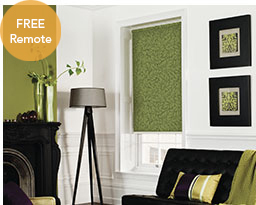 Make a statement with our stylish collection of patterned electric blind fabric, ranging from contemporary prints in vibrant palettes to classic designs in soft complimentary tones. 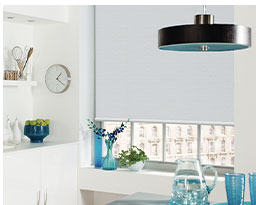 Our electric blinds are available in sheer, dimout and blackout fabrics to suit every room. 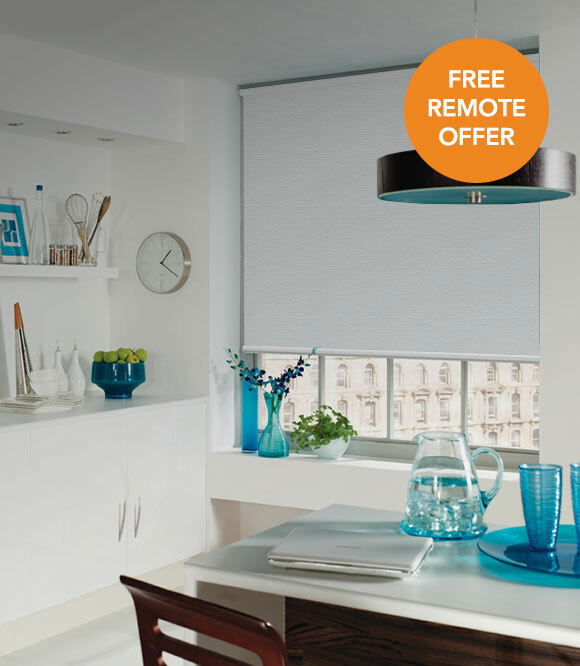 Choose sheer for light filtering and privacy, dimout for minimal visibility, or blackout to block the most light and maximise insulation. 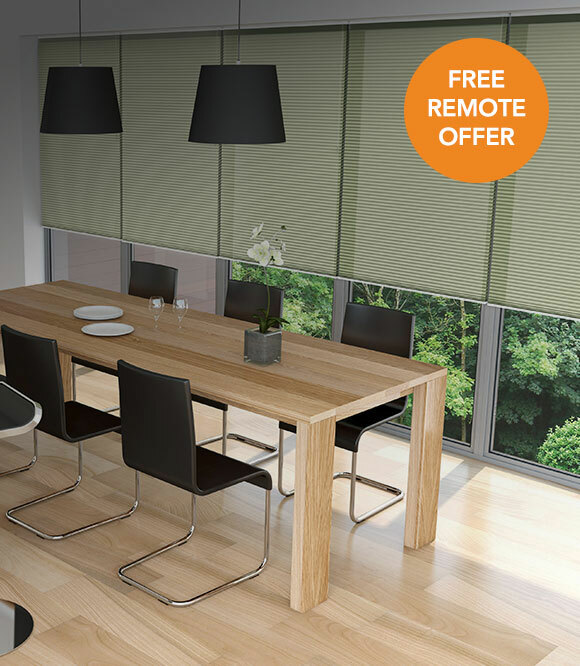 Our easy to install electric blinds have a number of different power options, including battery, mains plug in and even solar.